around the area of the lumbar spine, running along the buttocks, the thighs, and then further branches down the legs to form the common peroneal and tibial nerves. It arises from the sacral plexus and is formed at the junction of several spinal nerves, namely nerves L4 to S3. It delivers sensory information to the spine from the legs, powers many of the motor functions of the legs, and also generates the leg reflexes. Sciatica is a defined as any pain that comes as an offshoot of an inflammation or strain on the sciatic nerve. As such, the pain can be throughout the different sections in proximity of the nerve, from the lumbar spine, the buttocks and posterior thighs, often also going down the leg. It is normally described as a shooting pain which has an acute onset, accompanied by dullness or prickling sensations in the feet and toes. In worse cases, the symptoms may also include difficulty in moving the lower extremities, and a marked loss of leg reflexes. What is Lumbar Epidural Steroid Injection? As its name suggests, lumbar epidural steroid injection is the direct injection of steroidal medicine to the epidural space in the lumbar spine with the intention of providing pain relief for sciatica. Professionals from spine centers employ a mixture of local anesthetics and corticosteroids, which act as numbing and anti-inflammatory agents, respectively. Together the agents soothe the pain and minimize nerve swelling. The mixture may also include saline on certain occasions, which could also help dilute and flush out immunological agents responding to the nerve stress that also cause nerve irritation. This minimally-invasive procedure is utilized by spine centers as an important part of non-surgical pain care, in conjunction with expansive rehabilitation therapy. The effects of steroid injections are temporary, however, though it does still give enough relief to patients to allow for physical therapy progression which may otherwise be too painful. 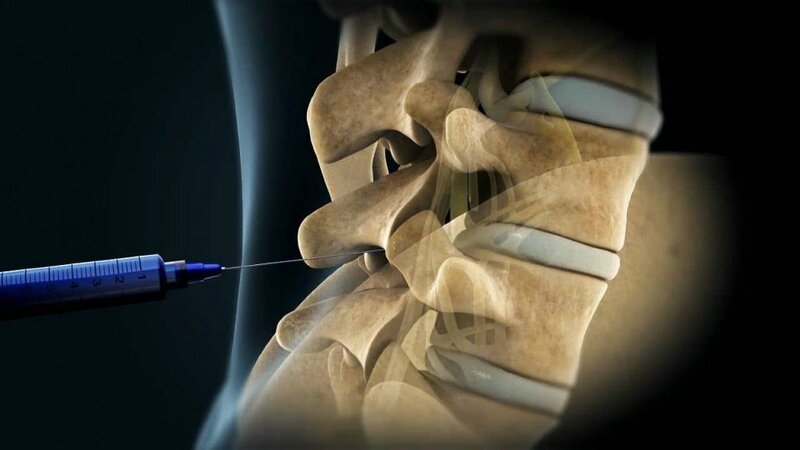 How is Lumbar Epidural Steroid Injection done? Upon being recommended by the spine center doctors for lumbar epidural steroid injection, the patients would first be asked to go through imaging tests (e.g. MRI or CT scan), also usually available in the spine center, so as to pinpoint the exact location of inflammation. Local anesthetics would then be given to the patient in the spine center, to desensitize the skin section to be punctured. Fluoroscopic imaging (X-ray) guides the physician during the needle insertion through to the spinal canal and into the space around the spinal cord and nerve roots. The medicine is then injected to the epidural space. Patients are then monitored for some time before being sent home from the spine center. Where can I get a Lumbar Epidural Steroid Injection done? Dr. Kevin Li, MD, a spine care physician based in L.A, would be the best practitioner to consult for your lumbar epidural steroid injection. With his years of pervasive experience in image-guided anesthesiology, he could surely give you the finest epidural steroid injection albeit the intricacy of the procedure. Get in touch with his Los Angeles spine center today at (626) 538 – 8950 to set an appointment , and breathe pain-free!